Hope you are having an amazing weekend. Today I wanted to talk about my favourite perfumes, and I will warn you I do have a fair few favourites. Disclaimer the description of the perfumes will be from various websites, they will be descriptions that I have copied and pasted from websites you can purchase these items from, these will be named before each description. Thank you. Ok so lets begin, The first perfume that I will mention has been out for a while but I have only recently discovered it and I love it. This one is going on my christmas list this year. 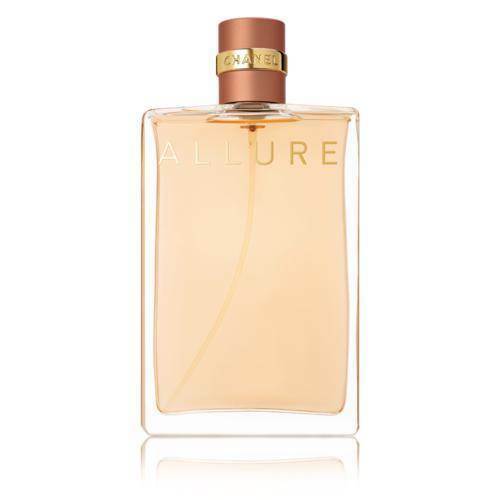 Debenhams -J’adore’ eau de parfum is the incarnation of absolute femininity in an opulent fruity and floral bouquet. It takes flight with a fresh accord of bergamot, opening into a vibrant armful of roses with a delicate jasmine dry down. The sensual, curvaceous lines of ‘J’adore’ eau de parfum’s amphora bottle make this a legendary perfume. Debenhams – La Vie Est Belle’ is a French expression meaning life is beautiful. A philosophy of life and happiness is universal declaration to the beauty of life. An eau de parfum with the noblest ingredients like concrete of iris pallida, jasmine sambac, absolute orange blossom and absolute patchouli essence lain on a bed of fine delicacies. Unique olfactory signature exclusively created for Lancôme by three of France’s leading perfumers. Boots.com – HUGO Woman is a fruity floral fragrance with an unconventional boyish twist. The scent is a contrast of feminine and unexpected masculine notes creating a contrast of tones and sensations. HUGO Woman is the scent for modern, stylish women who live life their way and follow the motto ‘invent yourself’. Boots.com -A SOFT, FEMININE FRAGRANCE THAT REFLECTS THE INDIVIDUALITY OF THE MODERN WOMAN. A fresh blend of delicate florals, heliotrope, almond accents and a caressing wake of vanilla and cedar wood that melt together in perfect harmony. Heart Notes: Heliotrope, Cardamom, Pear. Boots.com – Inspired by an amethyst it symbolises serenity. And to enjoy time and time again you can refill with the 60ml refill bottle. Distinctive and mysterious, yet comforting and soft, Alien by Thierry Mugler conveys passion, sensuality and the essence of absolute femininity. Boots.com – The new Miss Dior Eau de Parfum reveals the femininity of a sensual floral. Its heart is a floral declaration that combines the beauty of Grasse rose with the boldness of Damascus rose, both wrapped in a ribbon of fresh notes of Calabrian bergamot. This handcrafted creation is woven with rosewood from French Guiana and pink pepper from Reunion Island for heightened character. A Miss Dior that will leave you lovestruck. Fragrance direct – This classic perfume from Burberry was launched in 1995 and remains popular with Fragrance Direct customers today. Burberry For Women is a fruity female fragrance that creates a simply charming blend of notes to entice any audience. Burberry For Women opens with fruit packed top notes including, blackcurrant, peach, apricot, pear and green apple. This fragrance from Burberry then moves into a warming heart of sandalwood, moss and jasmine, before leading into end notes of white musk, vanilla and cedar. This clear and sharp scent would be great for any Burberry fragrance fan. Fragrance shop – The very definition of elegance according to Mademoiselle Chanel. Charismatic and natural. A floral-fresh-oriental fragrance in six facets that finds an expression unique to each woman. Because every woman has her own special allure. A floral-fresh-oriental fragrance that is refined and elegant. It reveals its six facets in a way that is unique to each woman. A composition that combines the sparkling notes of Mandarin, the softness of Rose and the sensuality of Vanilla. The floral, fruity and oriental notes have been magnified. The list could go on and on, these are my top favourite perfumes at the moment. Let me know what your favourite perfumes are.